Centreville is named for its location, half way between Digby and Petit Passage. As you walk along the magnificent shoreline of the Bay of Fundy here, you will find beautiful sunsets and perhaps the hidden treasure supposedly buried there. 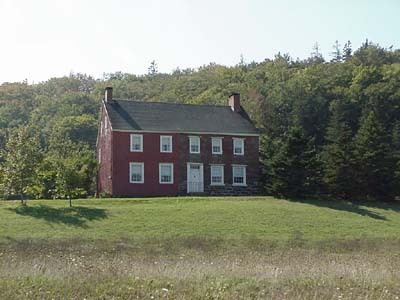 Driving through on Trout Cove road you can see the first brick house built on Digby Neck. Built in 1789 from local clay by James Ward, it was called the old Ward Inn for many years. Captain Isaac Titus from New York state settled here in 1788. Originally called Trout Cove, the area became Centreville in 1875. 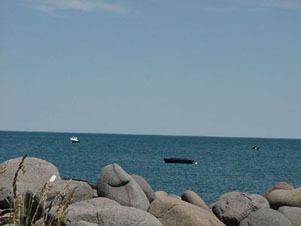 The main industry in Centreville is hand-line and lobster fishing. There was also a fish processing and canning plant located by the wharf, which was started in the late 1800s by Alfred Boutilier, no longer in operation although there is still the Gidney Fisheries Inc plant. The United Church was built in 1886, burned down in 1994 and restored in 1996. The First Baptist Church on Digby Neck is located in Centreville. There is a local Kwik Mart, and you can get gas and a few grocery items from the Wilson's Gas Stop. Spruce Grove Arts and Crafts is located here where you can find local art and crafts for sale.